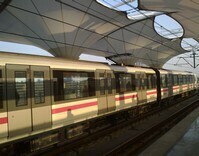 The Shanghai subway is fast, cheap, air conditioned and user-friendly, no matter your native language. Station stops and line information are announced in both Mandarin and English. If you can remember a few of these helpful hints, getting around the city will surely be a breeze. Currently, there are eleven lines that snake their way through the city, and another 8 are currently under construction. While lines 1-3 have staffed ticket counters to assist in buying subway tickets and cards. Most other lines only have automated machines with staff on hand to help if there is a problem with purchasing a ticket or loading money onto your metro card. 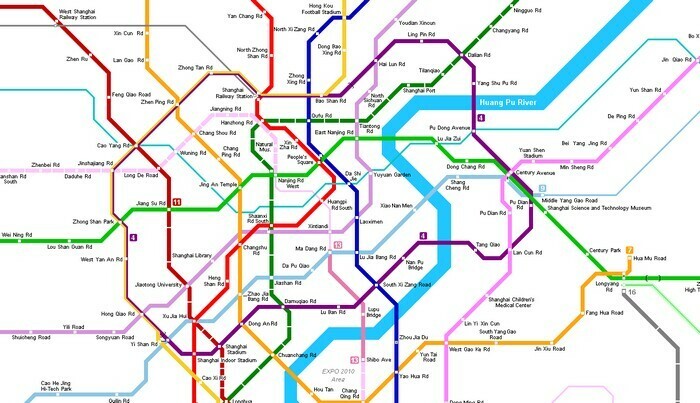 Transfers are usually quite smooth throughout lines in the Shanghai subway system, but there are a few places where additional fares or changes will be needed. Purchase a ticket for the entire trip, including transfers, at the starting location to keep prices to a minimum. Some stations require walking out of the station and into a nearby or connecting station for transfers. Others will have the transfers available directly in the same area. When you do transfer off the train, do not exist the turnstile unless you want to exit the station all together. If you do so by accident, an additional ticket to get back in will have to be purchased. When mapping out your route, note that there are several stations with the same name that come in from different lines. While they might be in the same general area, their entrances and exits may not be at the same place. In the run down of the lines below, please note that some transfers require an additional fee, or must be used in conjunction with a Shanghai Transportation Card only. These will be marked accordingly. While we feel most of this information is accurate, please make sure to always check with the daily schedule in case any closures or changes have been made. When traveling around the Shanghai by foot or car, you are bound to see signs clearly marking entrances to the subway stations. Follow these signs into the station and down into the landing area where tickets for the transportation can be purchased. Locate the ticket office or automated machines in the subway terminal. Three different choices of tickets are available for purchase. Riders can buy a single journey ticket, pay for or load up on their Shanghai Public Transportation Card or purchase a souvenir ticket. Each station at least comes equipped with automated machines that offer service in English (as well as Mandarin) and easy to use touch screens that you step by step through your ticket purchase. Fares typically average anywhere from 3 to 9 yuan, depending on the distance traveled. After purchasing your ticket, enter the subway platform area through the turnstiles. Find a turnstile with a green light, which indicates that it is available to use. Hold your card or ticket up to the right hand side of the turnstile so it can verify your entrance. Once it recognizes the ticket or card, you are allowed through the turnstile and can wait for your train at its corresponding track. Certain stations, like many between Line 3 and Line 4, share platforms, so be sure to pay attention when trains arrive in the station.